The Ogun Government has inaugurated a National Health Insurance Scheme (NHIS) clinic to provide efficient and affordable healthcare delivery. The state Commissioner for Health, Dr Babatunde Ipaye, inaugurated the facility on Friday at the Olabisi Onabanjo University Teaching Hospital Annex, Saje, Abeokuta. He said that the clinic was built with the support of a Philanthropist, Chief Olatunde Abudu, in commemoration of his 90th birthday. Ipaye said the project was part of government determination to meet the health needs of the people. According to him, the clinic would provide services to those who have enrolled in the NHIS in the state. The commissioner added that the State Health Insurance Scheme, recently signed into law, would soon start operations. “Saje hospital, Abeokuta, is the outreach centre for Olabisi Onabanjo University Teaching Hospital Sagamu. This is where our Post Graduate students do their family medicine and community health postings. 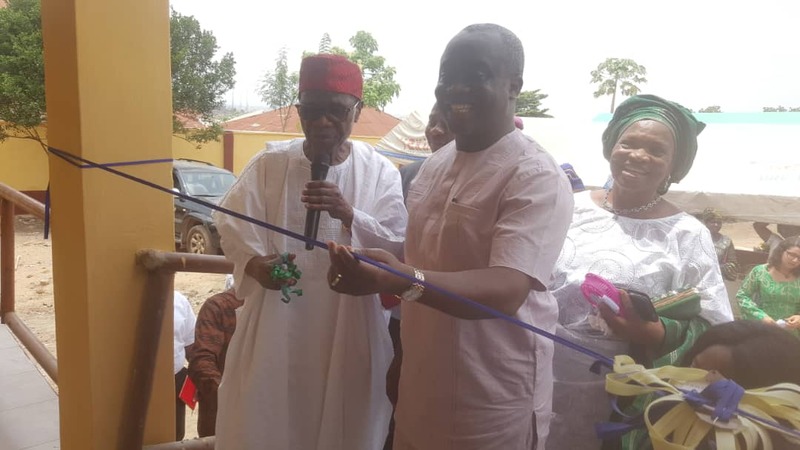 “This centre was donated by Pa Olatunde Abudu some 13 years ago and now on the celebration of his 90th birthday, we collaborated with his birthday planning committee to put up this purpose building clinic named, Olatunde Abudu Clinic,’’ ipaye said. Chief Olatunde Abudu appreciated the state government for the good gesture, support and its commitment to the development of the health sector. At the event, members of Saje Community were provided free medical treatment, including eye test, blood pressure, malaria, blood sugar and HIV/AIDS test, among others.